A Nevada Pain doctor may prescribe a few weeks of physical therapy for certain patients along with other treatments recommended. Many people do not see the value of physical therapy and see it as a chore to go to multiple appointments every week. However, physical therapy is an important tool in helping patients which their highest potential of reaching normal functioning after surgery or injury. A physical therapist can be the best ally in enabling the body to reach its fullest potential when recovering from an injury, surgery, or illness. Physical therapists are professionals that help their patients improve their mobility and make movement as pain-free as possible. It is their goal to get their patients moving and able to perform daily activities the best as they can. Patients come to them in pain or the inability to move properly. Surgery may have made it impossible to move limbs that had become atrophied from non-use. Physical therapists identify the problems that can hinder optimal movement and work with their patients to improve the motion. It does take several visits to reach the goals set by the doctor and the therapist. • To avoid surgery and/or medication. • Learn more about taking care of your body. • Protecting your joints to avoid reinjuring them. • Making your home safe. • Using assistive devices such as crutches. • Performing your daily tasks safely. • Doing home exercises designed specifically for the individual. The physical therapist is essential to help patients rehabilitate from any major injury or surgery, but evidence shows that PT may be an equally effective alternative to surgery or strong pain medication. It is cheaper and less invasive than either of the options and the patients’ outcomes are much more positive in many cases. Conditions such as back pain to osteoarthritis of the knee can be treated with physical therapy. Manual therapy is what physical therapists do to promote relaxation, alleviate pain, and increase flexibility. This cannot be done by the patient but by the licensed therapist. Massage is one of the techniques used where pressure is applied to muscles to help increase the blood flow and ease the pain in the affected areas. Mobilization of the bones and joints entails twisting, pulling, or pushing them in short, precise movements to increase flexibility and encourage alignment. Joint manipulation is used to put pressure on the affected joint and the controlled force can help move it back in place or make it move better for the patient. Some physical therapists specialize in other kinds of treatment. Vestibular rehabilitation (for people with problems with vertigo) and decongestive lymphatic drainage are among treatments available to patients. Patients with cancer may develop problems with movement where PT can help. Urinary incontinence and pelvic pain can be prescribed exercises and treatment from a physical therapist as well. Wound care for people with diabetes is something a trained physical therapist can treat. As one can see, physical therapy is more than just for athletes. Physical therapy is useful for any patient seeking relief from pain and discomfort. 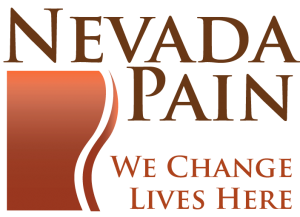 The Nevada Pain of Las Vegas accepts over 50 insurances and offers the best in pain treatment in the metropolitan area. Call (702) 323-0553 for more information and scheduling with the best board-certified pain physicians. For more information, please visit – Pain Specialists Las Vegas.